PLYMOUTH, Mich. – Former printing industry leader and franchisor William “Bill” McIntyre passed away November 6 at the age of 81, following a long illness. McIntyre was the former president, CEO and chairman of Allegra Network LLC, a subsidiary of Alliance Franchise Brands LLC. Of McIntyre’s numerous professional accomplishments, he is credited with guiding the franchise through Chapter 11 bankruptcy proceedings in 1992 as company president. He became the organization’s CEO upon emerging from Chapter 11 in less than 15 months. McIntyre quickly redirected the resources of the company to help franchise members increase sales, improve profitability and implement the new technologies. 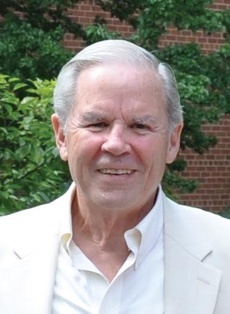 McIntyre was named the company’s chairman emeritus when he retired in 2011 to spend time with his wife of 54 years, Susan, their children and grandchildren. A lifelong resident of Monroe, Michigan, McIntyre attended the University of Detroit and the University of Notre Dame for his undergraduate studies. In 1976 he graduated from the Harvard University Executive MBA Program. With a strong sense of community, McIntyre served at various times as chairman of the boards of Mercy Memorial Hospital, the Monroe County Red Cross, the United Way of Monroe County, the Monroe County Chamber of Commerce, the Monroe YMCA, and St. John’s Primary School. He was the chairman of the Board of Directors of Monroe Bank & Trust for many years and acted as chairman of the bank’s Governance Committee and a member of the Audit Committee. He was named Alumnus of the Year by St. Mary Catholic Central and was a recipient of the Minute Man Award given by former Governor William Milliken. He served on the Michigan Historical Committee and on the Board of Directors and the Executive Committee for the State of Michigan Chamber of Commerce. While a member of the Legatus organization, McIntyre served as the Vice Chairman of the Board of Governors. He also served as President of the Genesis Chapter of Legatus and on the Board of Regents of Ave Maria University in Ave Maria City, Florida. He was a member of the Detroit Presidents’ Organization, the Ave Maria Founders Club, and the Detroit Chapter of the Society of Automotive Engineers. He is a past member of the Young Presidents Organization and the Chief Executive Officer organization.